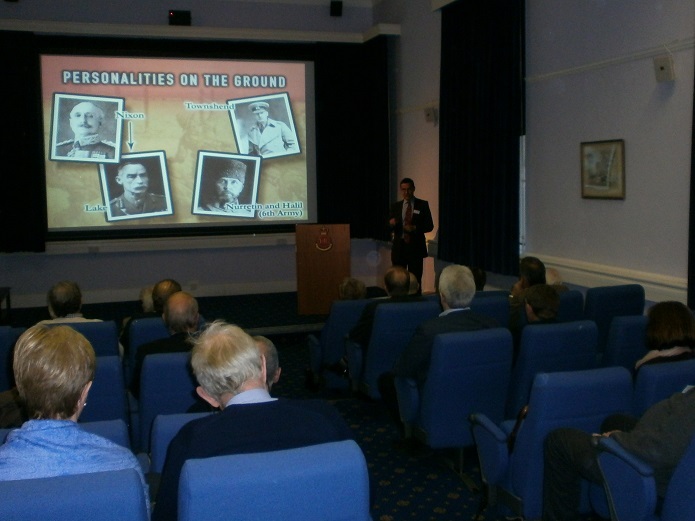 The Sandhurst Trust held the second historical conference of the year on Friday 13 November. Entitled ‘Gallipoli and the war against the Ottoman Empire 1915-18’ the event was attended by a mixture of alumni, the general public, academics and Officer Cadets. The day started with a welcome from the Commandant, Major General Paul Nanson CBE, who highlighted the role of the Lancashire Fusiliers in the initial landings, winning ‘6VCs before breakfast’. 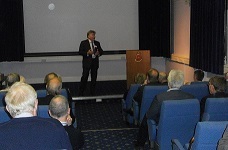 After setting the scene, the Director Sandhurst trust, Vaughan Kent-Payne handed over to Stephen Chambers for an overview of the campaign. Stephen has written several books on the campaign and had recently returned from leading a battlefield tour of the Gallipoli peninsula. After lunch, Neil Faulkner gave a fascinating presentation on Lawrence of Arabia. Not only was this a factual presentation but one laced backed up with his findings as an archaeologist. Seeing items discovered at some of Lawrence’s camps, including an army-issue rum jar, brought the whole subject to life. Colonel (Ret’d) Patrick Crowley highlighted the fact that the war in the Middle East was anything but one-sided by presenting on the siege of Kut and subsequent surrender of General Townshend and the British Garrison. Finally, Sean McKnight, Director of Studies at RMAS summed up the war against the Turks and set this against the current situation in the region. The day finished with an excellent dinner in the sumptuous setting of the International Room. The first 2016 conference will cover the great battles of The Somme and Jutland, 100 years on.